Passing through the backwoods town of Sparta, Mississippi, Philadelphia detective Virgil Tibbs (Sidney Poitier) becomes embroiled in a murder case. He forms an uneasy alliance with the bigoted police chief (Rod Steiger), who faces mounting pressure from Sparta’s hostile citizens to catch the killer and run the African American interloper out of town. Director Norman Jewison splices incisive social commentary into this thrilling police procedural with the help of Haskell Wexler’s vivid cinematography, Quincy Jones’s eclectic score, and two indelible lead performances—a career-defining display of seething indignation and moral authority from Poitier and an Oscar-winning master class in Method acting from Steiger. 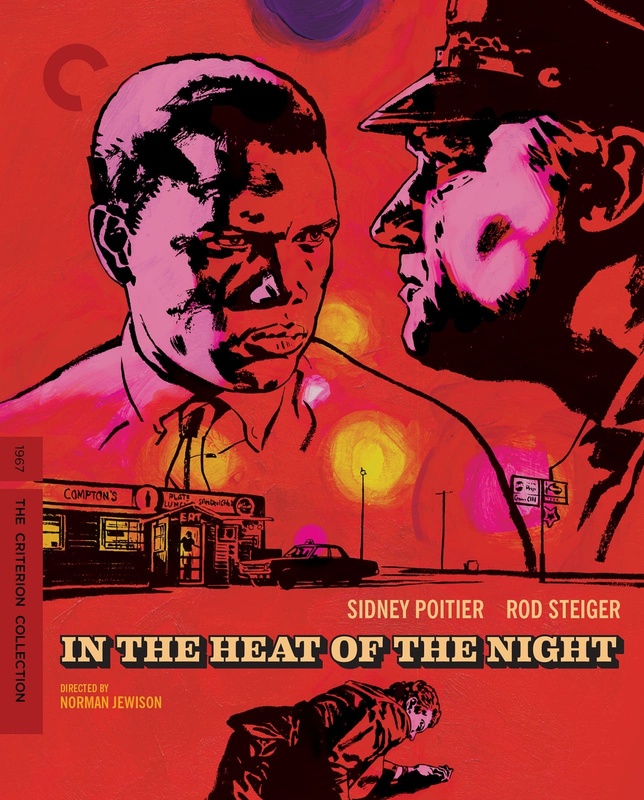 Winner of five Academy Awards, including for best picture, In the Heat of the Night is one of the most enduring Hollywood films of the civil rights era. Brand new 4K restoration. Both the DVD and blu-ray editions come with bonus features.